The ideal essential compilation has to be a continuum -- covering the ground between old and new, bridging the gap between timeless and bleeding edge. 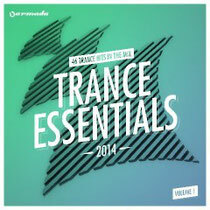 ‘Trance Essentials 2014’ is a double dose of the tunes of the moment, including reworks of some classics from the past. Well-known artists have made their mark on the tracklist, and possible rising stars find themselves well represented too. Straight from Paul Oakenfold’s upcoming ‘Trance Mission’ album, the classics ‘Toca Me’ and ‘Café Del Mar’ have gotten a major facelift and should turn heads everywhere they’re played. Andrew Rayel has two tracks on the compilation, including ‘Eiforya’ with Armin van Buuren. The two throwback tracks ‘Must Be The Love’ from Arty and BT featuring Nadia Ali and Jurgen Vries’ ‘The Theme’ set the level of quality for the album. New club tracks from Dash Berlin & Rigby, Gaia, and a Johan Malmgren remix of Aruna’s ‘Start a Fire’ keep the future of trance music burning brightly. An extensive collection of fresh new remixes (including a remix of Paul van Dyk’s ‘Crush’ from Las Salinas), ‘Trance Essentials 2014’ is out on Armada on 6 June. Check one of its tracks, Tenishia’s ‘Benedictus’ below.